FRESH KEEPER™ is our newest house brand, a name which implies the primary purpose of food storage containers: Keeping foods fresh! 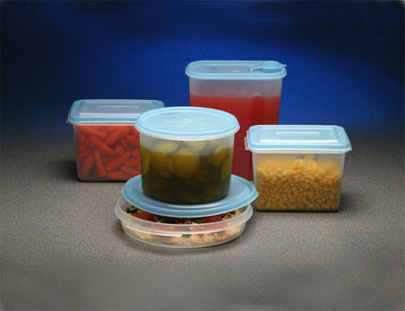 The unique, airtight burpable seal permits burping excess air out of the container prior to storage. Since air is the enemy of freshness (food spoils due to an oxidation process), the less air trapped inside the container, the longer foods stay fresh. FRESH KEEPER™ replaces the FARBERWARE® brand (a licensed name) at Frye International. Licensed brands require that royalty payments be included in the costs. At a time of continuously rising raw material costs, FRESH KEEPER™ permits the company to continue to offer the best value in food storage products. MONTERREY is a house brand targeting today’s large and rapidly growing Hispanic-American market as well as all lovers of Mexican food. 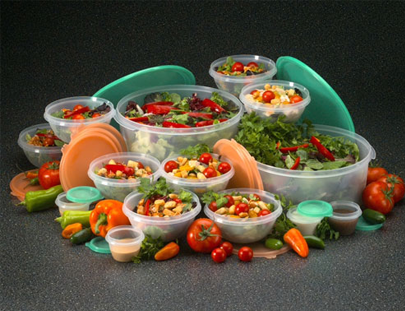 Products include tortilla keeper/warmers with rippled bottoms to prevent tortillas from sticking to bottom during microwave heating, salsa bowls, family-pack sets, etc. Bilingual packaging and color scheme were developed under guidance of Hispanic marketing consulting firm. PRIVATE LABEL has become more and more prevalent, especially among retailers who are differentiating their assortments from the mass merchants. This protects retailers’ margins and helps to develop shopper loyalty. Frye International has the high quality products and private label experience to be the ideal private label partner in food storage. Frye International can supply its high quality, award-winning food storage products under any of these brands, according to customer preference.